Here’s the scenario: you’re sitting on the couch, feet propped on the coffee table with your laptop in hand. You’re feeling sanguine so you load up a few HD 1080p videos on YouTube. Then you fire up Spotify and…. bam – you’re unceremoniously disconnected from the web. What the heck just happened? Usually, you’ll just get up (or bark at your wife) to reset the router. But this is beginning to happen more frequently and you want to find the root cause so you can permanently eliminate this problem. Some wireless adapters will go sleep after a certain period of inactivity. This is particularly a problem on laptops that are running on battery power. I’ll show you how to get there in Windows 7 but the process is almost identical for Vista and similar for Windows 8 and 8.1. 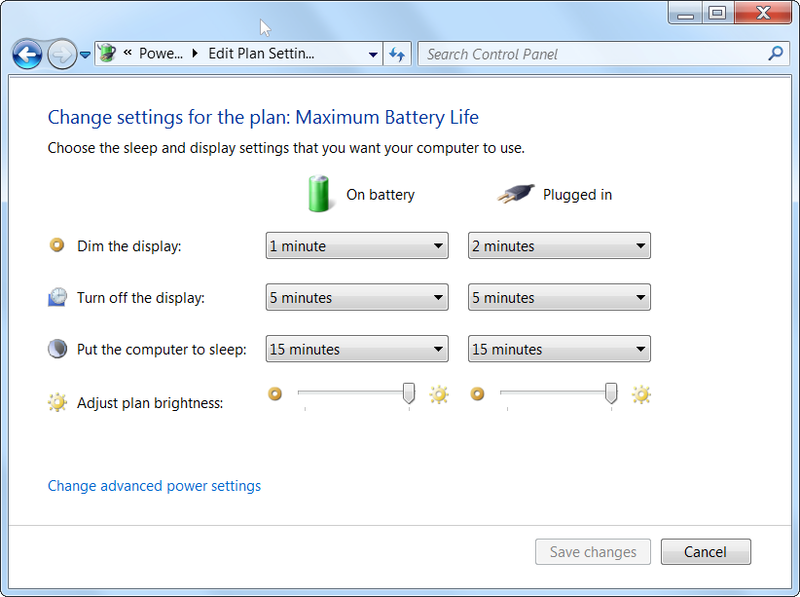 When the power settings screen appears, choose Change advanced power settings in the bottom left corner. 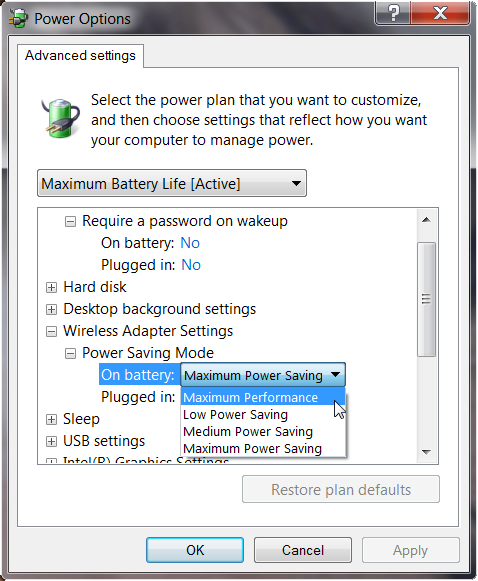 Go down to Wireless Adapter Settings, expand Power Saving Mode and change the plan to Maximum Performance for both On battery and Plugged in. If the connection is still randomly dropping you should go to the wireless routers support page and update the firmware. Asus, D-Link, Netgear, and Medialink (my favorite) are some popular WiFi router manufacturers. After this your connectivity should return to normal. WiFi networks work most of the time; however, after rebooting your router for the fifth consecutive time you may feel the need for a permanent fix. By changing your power settings, and installing the latest updates you will obviate the problem 90% of the time. The other 10% might mean you need to reset the router to its factory defaults or in pretty rare cases buy a new router.